East Java Tour, Let's Joint Us ! Mount Bromo is an active mountain has a crater or also, called volcano. Mount Bromo is a located in the district of Probolinggo East Java. The height of this mountain above 7,641 ft from sea levels. This mount is included in the National Park Bromo Tengger Semeru (NPBTS) who covering four districts, that is Probolinggo, Pasuruan, Lumajang, and Malang. Of the four districts is also used as te acces for traveller at Bromo Mountain but most the preferred passing through the access of Probolinggo and Pasuruan districts, because of its location in a more strategic. The people arround population at mount Bromo, they believe that is sacred mountain. So every year they make offerings called Kasaca ceremony. They perform the ceremony together with tradisional elders bringing offerings to the top of crater and then throw it to their God. And ended with a spell in the holy temple which is located at the side of mount Bromo. This ceremony they doing once on the night of the full moon according to the javanese calender. The reasons Bromo become a favorite destination of traveller in the world, Bromo mountain known sacred mountain and volcano and also have a perfect beauty. The shape mount Bromo like canyon, in the middle of the crater there is hole smoke. Mount Bromo adjoining with Batok Mountain who surrounded by a sea of sand and green hills towering sky. Usually the people to see the beauty of mount Bromo from the view point location (hill), it would appear like house of puppets. The most people preferred to explore the mount in the morning because besides watching the amazing view and they also hunt sunrise. 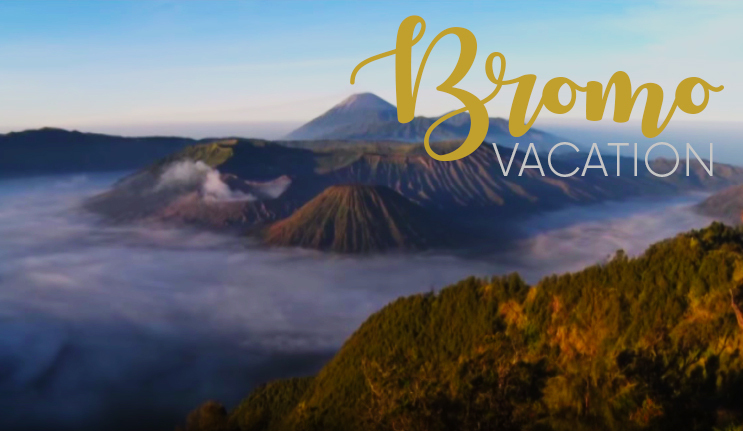 When satisfied with the beauty of Mount Bromo From penanjakan hill, they go down Into a sea of sand, for go to bromo crater. Journey to the crater bromo travelers can walk or ride a horse, from the sea of sand at a distance of up to 1 km. But before she reached the top of the crater, we climb on the stairs. after that, we will get to the rim of the crater bromo, to watch the bromo crater activity. The journey to the summit bromo crater from a sea of sand, we must require prime power, Because we passed a pile of sand so that adds to the burden when we walked. And usually traveller used bromo tour agen to booking Bromo tour package. 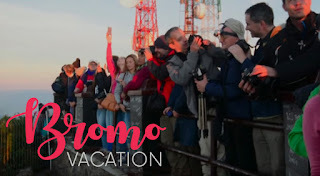 A special time for a visit at Mount Bromo in the dry season, because of the disappointment that often felt the traveler when the weather is cloudy and fog. if you want to visit in Mount Bromo precisely in March until november. but we need to be aware of is the temperature at Mount Bromo colder than when the rainy season. because the cold temperatures at Mount Bromo in summer reaches 10 to 5 degrees Celsius. The main expectations during a visit at Mount Bromo is sunrise and view of Mount Bromo, batok mountain, semeru when we stand up on penanjakan hill. Bromo tour packages - Ijen tour is a combined package that includes 2 mountain tourism is the main destination for local tourists and foreigners in East Java, Indonesia. Both have exceptional beauty but have different types. 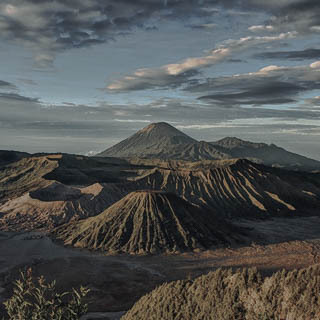 Mount Bromo is known by the beauty of the sunrise and panoramic bromo crater, mount batok, and caldera. 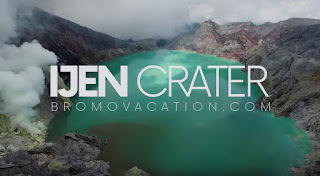 While the Ijen crater known by the natural phenomenon of blue flame, green lakes and attractions of the sulfur miners. The this program will invite you to visit bromo tour (sunrise tour, tracking bromo crater, waterfalls madakaripura, and sunset tour) Ijen crater tour (blue fire, enjoying the beauty of the lake blue , coffee plantion). Bromo tour package and Ijen crater tour begins with a pick-up in Surabaya, malang or bali. and finished in place according to your wishes. Around 0300 o'clock at morning, to the mountain climbing or view point by driving the jeep for 1 hour, until in mount penanjakan, enjoying the beauty of the sunrise and panoramic view of Mount Bromo, Batok and keldera bromo until satisfied. Around 06.00 o'clock at morning, still with the jeep into the sand of the sea for 30 minutes, upon arriving in the area of Mount Bromo, we walk or ride a horse along the 1 km. Then we hike up the stairs of 250 steps to reach on top crater bromo, enjoy the phenomenon of the active crater bromo. When satisfied, go back down to the parking jeep, to transfer to the hotel again, taking breakfast, and cleaning and taking rest in few minute. Starting the trip Madakaripura water falls by car trip for 1 hour, until in the parking Madakaripura, we walk for 30 minutes to the center of the waterfall. Once satisfied we return to the car and back to the hotel for lunch and Free program. Once we were satisfied with the beauty of the blue flame, we explore the beauty of the lake green from on the rim of crater, until satisfied and returned down to Paltuding. Then, we went straight to the place you want to end the tour. Bromo Midnight Tour part of our services are summarized in the category Bromo Tour Package. with very cheap deals. Not a few of the travelers using the service bromo midnight through our travel services. because we have a service that is supported by an experienced driver and a decent facility for customers. This package solution for travelers who do not have a long time in east Java. Midnight Tour Packages Bromo one of trip package bromo sunrise without staying overnight in the area of Mount Bromo. The duration of the journey with this package, it only takes about 12 hours.The object which we will visit, including mount penanjakan (bromo sunrise), bromo crater. This package, we can start from Surabaya or Malang at the time 12 o'clock at night, using private car with our driver to jeep station in cemorolawang village. Pick-up in Surabaya / Malang (Hotel, Train station, Air port) at 12 o'clock at night by our team, directly to the area of Mount Bromo (Cemorolawang village) for 3 hours. Upon arriving at the station jeep, heading to mount penanjakan with jeep during a 1 hour trip to watch the sunrise. Around 6 am, still with the jeep into the sand of the sea for 30 minutes, upon arriving in the area of Mount Bromo, we walk or ride a horse along the 1 km. Then we hike up the stairs of 250 steps to reach on top crater bromo, enjoy the phenomenon of the active crater bromo. When satisfied, go back down to the parking jeep, to transfer to the village Cemorolawang, then we get cleaned up around the jeep station, and headed straight to the restaurant for lunch, once returned to Surabaya. the program ends. Itinerary on above from us for traveller which want to joint us and contact us if you are interested. an we also waiting call you. Mount Penanjakan - Seeing a good view is the desire of all people, especially traveller. And usually the traveler will take pictures of the view to be captured. However it is impossible if someone took a photo of the scenery in that area, because it need a long distance so that pictures of landscapes can be entered into the camera frame. Then where is the best place to see the view Bromo widely to produce images of the exotic. Mount Penanjakan also often called viewpoint one for foreign tourists who visit Mount Bromo. At the time of tourists visit Mount Bromo, they will not lose time to be able to visit the mountain Penanjakan. Mount Bromo in addition to offering the charm of stunning natural beauty, it also gives a beautiful sunrise that is not less beautiful than lain.The a good place to see the beauty of the sunrise is from the side of the mount Penanjakan, and also a great place to see panoramic views of Mount Bromo, Mount Batok, Mount Semeru, and a sea of sand. The view is like setting puppets. Bromo Tour Pacakge To see the beauty of the sunrise on the mount penanjakan, we need strong physical or nutrition in our stomach, because the most extreme challenges to enjoy the beauty of the sunrise we must braved cold temperatures, so can to disruption to our bodies. However, if you do not have time to eat or giving nutrition in our stomach before heading to the mountain penajakan, we could buy a variety of food and hot drinks in warung (Small restoran) around mount penanjakan. For more, we should provide equipment such as jackets, scarves, shoes and flashlights. because the weather is very cold, and that certainly is a dark conditions. The entrance of the mount Penanjakan or view point get through in some areas, including the village of Cemorolawang (Probolinggo), Tosari Village (Pasuruan) Overlapping Village (Malang). On the third place, we will be decorated by the green landscape of the hills on the edge of the road. But the access the most widely used by tourists among three locations, they prefer to start from the village of Tosari Cemoro Lawang, because the distance is closer and safer. 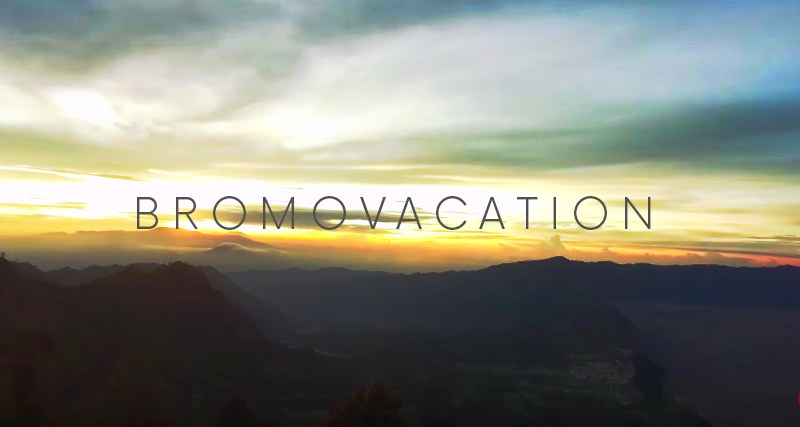 BROMOVACATION.COM are booking site service provider Bromo Tour Package online and travel to some of the tourist attractions in East Java. Types of tours we offer include natural sights like Mount Bromo, Kawah Ijen and tours including trekking in extreme Semeru, Ranu Kumbolo, outbound, and one that will test the Holidays Rafting adernalin and compactness. There is also a study tour to the education of children and the Secret Zoo, Museum Angkut and Petik Apel. All of this is located in Batu Malang. From some of the attractions there, we can summarize the various visits to resolve to be a package tour arranged by Travel comfortable and memorable. Why do we need a holiday to Bromo ..?, Mount Bromo is the most beautiful mountain located in East Java, has a sea of ​​sand accompanied Bathok mountain and surrounded by green hills which are not found in any other mountain in Indonesia. Bromo scenery will be more exotic when viewed from the mountain Penanjakan in the morning, high hill illuminated by sunlight from the east Penanjakan plus cold temperatures, thus creating a cold beauty of the natural landscape. This moment is called Bromo Sunrise and awaited by tourists to capture this moment. Indonesia is rich in tourist, all citizens of the world are interested in our beloved country since the tour started from the beach, the mountains, to the culture that we have. 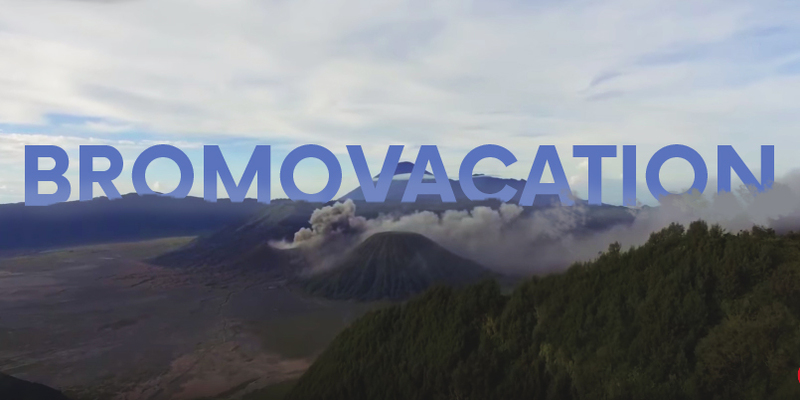 The existence of attractions, especially in the eastern part of Java, Mount Bromo in particular which is visited by several tourists both domestic and foreign. This makes us participate in the online tourism sector to help facilitate tourism programs that you want to visit, especially Bromo and several other travel preferences in accordance with the agenda of the tour and destination. 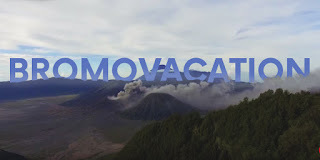 Bromo package tour online booking is the only way to vacation with friends or family. The bustle is familiar to business people, entrepreneurs and others, but it does not mean a person does not have time for a vacation. Travel type we have is kind of a private car, the travelers will be delivered or picked to order without having to laboriously tour, tourists also do not need to book a hotel for the night because we had a tour package includes Hotel. All purposes the tour we serve except personal purposes. We also have a very reliable driver, of course, must be qualified in driving and also very friendly to tourists who follow the tour with us will be comfortable during the holidays. In addition to the driver, on the way there are also tourism guide. We also have an experienced guide on a tour and speak English if there touris from abroad. Guide we have quite interesting, funny and very friendly. Friendly service applied for communication and interaction such as close friends or family during the holidays become memorable. It is a key partner to build their confidence was always there during the holiday period and, if later go on vacation with us again. The beauty of Mount Bromo Tour simply can not be matched by any other tourist. has a height of 2,392 meters above sea level, with a sharpener shape between valleys and canyons have a sea of sand covering an area of 10 km2. Mount Bromo is an active volcano crater has a diameter of 800 meters wide from north to south and 600 meters east to west. This apple town has a lot of attractions in addition also has a very strategic place. Stone town located on a peak where if we went to Batu will disugui with cool air and fresh. Do not be surprised if in the Stone area there are several fancy restaurants and hotels. Some amazing sights from marine tourism, mountain tourism to the museum and other exciting rides here. Ijen Crater become a unique attraction. Only in Banyuwangi, East Java, you can feel the pleasure of the natural beauty of mountains and craters which have a green color and beauty brimstone yellow. If the night is no one unique events that blue fire usually hunted by foreign tourists. Bromo Malang Batu Ijen Crater Tour Package 4 days 3 nights is included in the category of long holiday. Tour participants will be completely satisfied enjoying a holiday towards Batu Malang Travel, Tourism Bromo and Kawah Ijen with his long time. Accompanied by our driver and guide that will serve you wholeheartedly and friendly service. This tour package is suitable for you who want to spend a long holiday with family or couples who may have been preoccupied by the business. 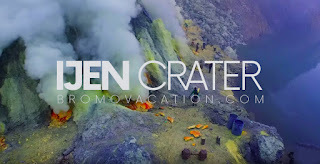 Here is the itinerary of travel or tour packages unfortunate Ijen crater bromo 4 days 3 nights. The first day pick-up station or airport Surabaya / Malang or meeting point such as hotels. 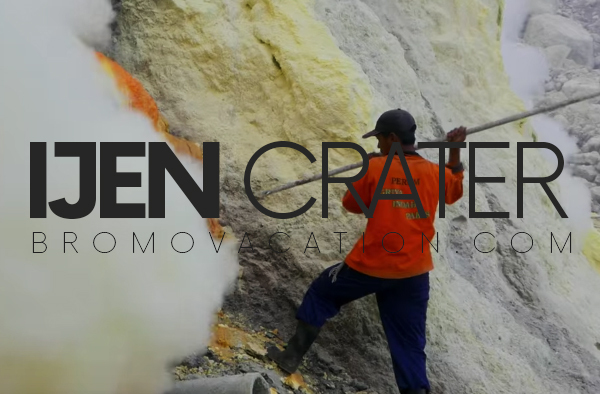 Travel directly to the hotel in the area Ijen crater along our driver and guide. the middle of the trip, tour participants will have lunch at a typical restaurant East Javanese well as a short break. Once completed, immediately went on the trip. Arriving in the area Ijen crater, tour participants will be asked to check in at the hotel which has been prepared and free program. Dinner was held in the hotel's restaurant nearby. The second day of Bromo Malang Ijen Tour Package starts at 2 o'clock in the morning. Tour participants prepare everything needed for a trekking tour to the crater of Ijen such as jackets and bring lunch breakfast which was prepared for breakfast in the crater of Ijen later. We bring your car travel from the hotel to the parking Gated or Paltuding which will take about 45 minutes. Of Paltuding trekking tour participants will perform with the group. 3km journey along the path taken. Trekking to the crater of Ijen will be paid after arriving at the summit crater. After enjoying the panoramic beauty of Ijen, Paltuding or back to the parking lot and headed to the car to be delivered to the hotel. Once the hotel could immediately shower and pack well as check out to continue the journey to the hotel near Mount Bromo, which will take about 5 hours drive. Arriving amid the journey you will be taken to a restaurant for lunch after it went on the trip. Arriving at Bromo direct hotel check-in and free program. You can rest satisfied and dinner can be done at a nearby restaurant hotel. Do not forget to prepare everything needed to surf the Mount Bromo tomorrow including physical. Day three, Bromo Tour performed at 3 in the morning. After all need to be prepared, we headed to the mountain Penenjakan using hardtop that has been prepared. The trip takes about 30 minutes. Once climbing you can enjoy the view of the Bromo Sunrise with fresh air and cool and do not forget your camera. Finish enjoy the sunrise we headed to the crater of Bromo. Hardtop will stop in the parking lot and you will do softtrekking to the crater or use the services of a horse if you want to rent a motorcycle taxi. But after arriving at the stairway should menitih about 250 stairs to see the crater of Mount Bromo directly. Finish saw the crater, back towards the hardtop straight towards the Mount Savana Teletubbies and Whispering Sands. Once completed, return to the hotel for breakfast as well get ready for checkout and proceed to Batu Malang. We headed to the East Java Tourism Park2 after the check-in hotel in Batu Malang, in the evening we headed to BNS (Batu Night Spectacular) and looking for a unique culinary Stone for dinner, then back to the hotel to rest. The fourth day, breakfast at the hotel at 8 am while checking out to proceed to the Waterfall Coban Rondo. You can enjoy the stunning natural scenery there for 3 hours. From the waterfalls, the journey continues to Pick Apples tour. There you can enjoy typical stone apple picking as much directly from the tree without pay, except to bring home for souvenirs. All attractions in Tour Packages Malang Bromo crater 4 days 3 nights we've visited. Tour program is finished, return to continue the journey back to the airport / station ticket according to the schedule that you ordered. Bromo Malang Sempu Island Tour Package attractions blend of mountain with marine tourism that lasted 4 days 3 nights. This holiday is more than enough to eliminate fatigue. The reason this vacation package is included in the category of long holiday. A little review about Sempu island. Sempu island located in the southern district. Malang. That is, the island is located on the south coast. Obak waves not too tight due to the island in front of the beach such as caves and small islands. Uniquely this tiny beach to the attention of tourists from various parts of the world. Not a few foreign touris visit Sempu island's coast. Day 2 to explore the ocean tillers in the early morning around 5 tourists begin to enjoy the scenic beauty of puppies immediately. Finished enjoying the view back menjuju tent to pack up and getting ready to go to the beach for a boat crossing the Sendang Biru. Arrive at Sendang Biru we go to Batu Malang to check in hotels around the city Stone. Rest and free program. Day 3 Breakfast at the hotel and at the same time preparing to check out for exploring several tourist attractions in the city such Batu; Java Park2, Garden Pick Apples, Waterfall Coban Rondo. There is also we will be heading to the shopping center or the city center by the typical stone for souvenirs at home. Done tourist exploring Batu Malang, we directly go to Bromo area. 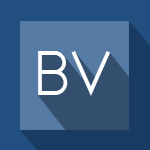 Check-in and free program. Phone / WA +6281329760465, email : bromovacation2@gmail.com.